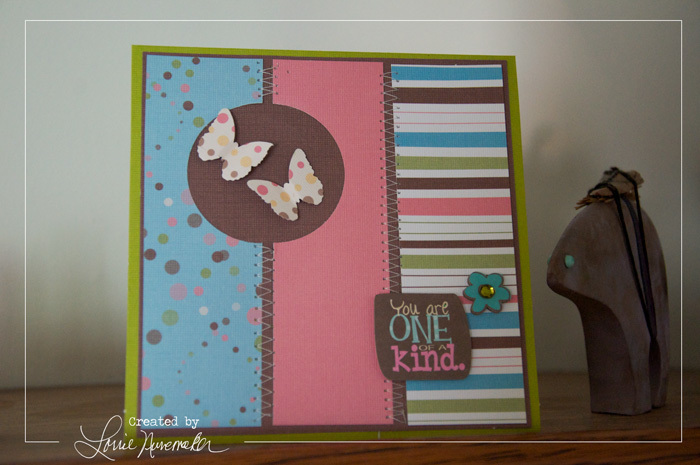 I made this card which was inspired by a scrapbook layout I saw on Pinterest. It's pretty simple, but I thought it turned out pretty cute. The papers are some old, old papers I had in my stash. I made a similar cut file for the Silhouette. The cut file is for an A2 size card. The card above is is 5.5 x 5.5, but the layout is exactly the same. If you'd like the cut file, you can find it HERE.